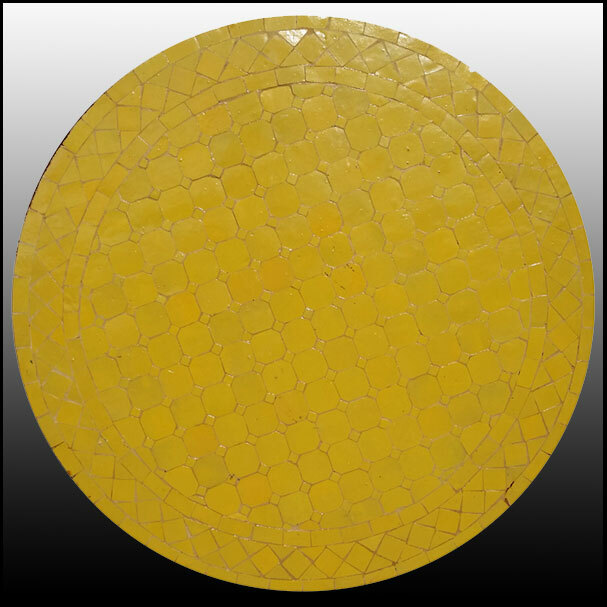 An indoor / outdoor glazed Moroccan mosaic table. All Yellow glazed tiles. Also available in different sizes (40″ and 48″), more vibrant color (blue, burgundy), and a natural stone color. Choose between a high iron base to use as a dinning room table and a low iron base for a coffee table. Base included in the price. Please call us for details or to place your order. More pictures available upon request. We do ship worldwide, so please contact us by email or phone, and we can get you a shipping quote.